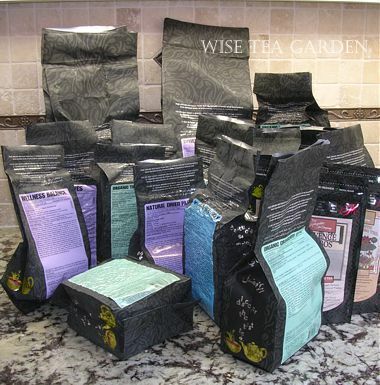 WISE TEA GARDEN® is a subsidiary Tea and Food store of Irene & Mr. Sheep® Co., Toronto, Canada. 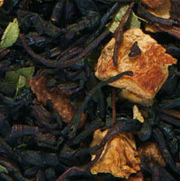 We specialize in luxury Whole Leaf Teas, Hand-Roasted Coffee, Tea blending components, and Organic non-GMO Foods. All tea products we sell meet EU/Canada/USA/Japan specifications for agricultural inputs or pesticide free and food safety certified. All Organic Teas are HACCP, NOP, COR and/or EU organic certified. Each tea is lab-tested in Guelph University (Ontario), non-GMO, and packed at a HACCP certified facility in Canada, Canadian Food Safe guarantee, Fair Trade and ETP certified. 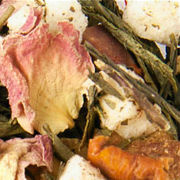 There are more than 150 varieties of teas and tea blending components in our inventory. Raw Tea Origins: The world's most experienced, safest, reputable and ethical estates and regions of Sri Lanka, Sumatra, Java, Kenya, India, Nepal, China and South Africa. 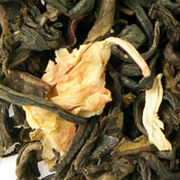 A number of Penultimate Teas can be purchased on a special order. Coffee Beans are originated from East Africa and South America. Announcement: Our line of Handcrafted Chocolate will be launched by August 2019. Currently, we are working on the development of unique exotic flavours. 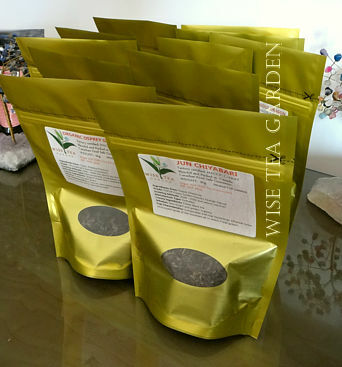 At our store, Whole Leaf Teas are sold in multiples of 50g and corn-fiber Pyramid Tea Bags, Matcha - 200g packs, Tea Spices are priced per nitrogen-flushed vacuum-sealed packs of various weights. An extra 6g is always added to each of your favourite tea ordered by multiples of 50g. Free Tea Sample(s) are included in orders over $100. For orders over $350, an additional volume purchase discount applies. Our Tea House is mail-order. It is located in Toronto, Canada. Orders are dispatched within 24 hours (Mon-Fri). Shipping couriers we use: Canada Post, FedEx. We ship within North America and Internationally to United Kingdom, Switzerland, Australia, Ireland, Norway, Sweden, Japan, Malaysia, Singapore, Hong Kong, Moscow, St Petersburg, Kazan, Mexico City via Canada Post, USPS, FedEx, DHL. If Tea/Coffee/Herbs are not banned for importation into your country, please let us know », we would be glad to serve you! Tea Origins, Certification: Raw teas are sourced in reputable and ethical estates and regions of India, Sri Lanka, Kenya, China, Nepal, Sumatra, Java, and South Africa, on high altitudes (from 500 to 9000 ft above sea level). All of our Teas come from widely recognized and the world's safest and highly experienced suppliers. Due to the mountainous terrain and high altitude of the world's leading growing regions, such as Darjeeling, Sri Lanka or Kenya, our luxury teas are hand-plucked. In order to provide you with the quality you expect, we store our loose teas in specially designed flavour-retaining packaging to maintain freshness and the full flavour of each tea. Shelf life: nitrogen flushed and vacuum packed - 20-22 years (Matcha - 8 years), after opening - 2 years (Matcha - 3 months). WHOLE LEAF IN FLAVOUR-RETAINING PACKS. * Ethical Tea Partnership (ETP) is an organization within the tea industry that seeks to better the lives of workers and their families in tea producing countries. The goal of the ETP is to provide consumers with a transparent understanding of where tea is grown and how it is manufactured. Everything from fair compensation to health coverage, housing and childcare is closely scrutinized. ** HACCP is a program that was originally designed for NASA and the US Army Laboratories to provide safe food for space expeditions. It is now internationally recognized as the best system to ensure food safety and is endorsed by the Food and Agricultural Organization and the World Health Organization. WHOLE LEAF IN VACUUM-SEALED PACKS.